In 1834 Thomas McKay, an associate of the Hudson Bay Company, built a fort on the east bank of the Snake River. The fort, now known as Old Fort Boise, was located at the mouth of the Boise River, 40 miles from present day Boise. In 1854, due to frequent Indian raids, the fort was abandoned. Despite this, the military desired to build another fort in the area, but, before this plan could go into effect, gold was discovered in the Boise Basin in 1862. It was now necessary, more than ever, to protect the vast number of travelers coming to the area. On July 4th, 1863, the military chose a location for the new Fort Boise and construction began soon afterward. A town site was located next to the fort, and with the protection of the military, the town grew quickly. A major reason for this growth, other than the gold rush, was its location along the Oregon Trail. 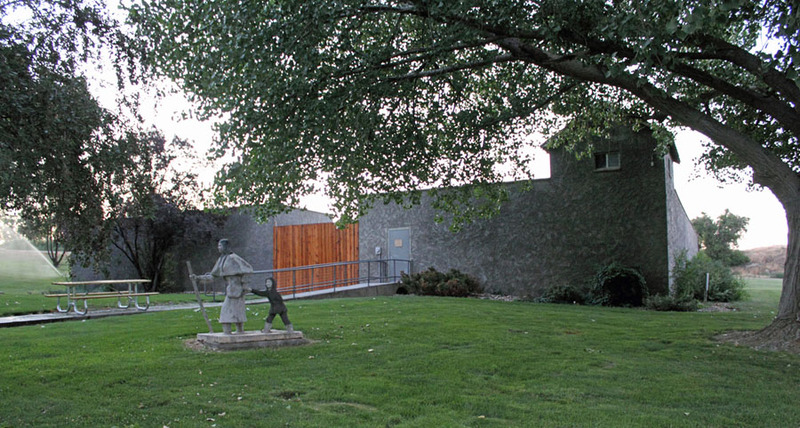 Parma’s Old Fort Boise on the Eastern edge of town has a replica of Fort Boise, a museum and an authentic pioneer cabin. An RV park, picnic area and campground are available at the west end of the park.